Ripple has teamed up with several notable crypto startups in an attempt to broker greater support for cryptocurrencies among U.S. lawmakers, reports Cointelegraph. The San Francisco-based group, called Securing America’s Internet of Value Coalition, will look to achieve this by raising the issue with different government bodies and agencies, including Congress, the Securities and Exchange Commission (SEC) and the Internal Revenue Service (IRS). Helping them in their effort will be Klein/Johnson, a bipartisan lobbying and public policy firm with a focus on fintech dealings. Early reports state that Klein/Johnson’s compensation will amount to roughly $25,000 a month plus 10,000 XRP tokens. Besides the independent foundation RippleWorks, the coalition also features fintech companies like Coil and Yaka as well as the newly-formed PolySign. Among the group’s primary goals is to obtain greater clarification regarding cryptocurrencies and surrounding laws. The choice of whether to define crypto assets as securities continues to bring some confusion, even after SEC chairman Jay Clayton said in June that Bitcoin doesn’t meet the classification due to its role as an alternative to fiat currencies. Days after the statement, senior SEC official William Hinman said that Ethereum also can’t be considered a security, a notion supported by ETH co-founder Joseph Lubin. Ripple itself claims that their flagship token isn’t a security based on historical precedent. The group’s formation coincides with greater interest in cryptocurrencies from Washington. On September 28, a group of U.S. Congressmen sent a letter to the SEC asking for guidelines on crypto assets. Among other things, the lawmakers wanted to know which coins can legally be defined as securities. Besides greater clarity over crypto-related laws, the coalition also seeks to ensure that cryptocurrencies aren’t over-regulated by new legislation. Thus far, there has been little to suggest that U.S. lawmakers would take issue with the group’s goal of allowing blockchain technology to develop. Speaking at a crypto panel earlier this year, SEC cyber chief Robert Cohen and CFTC enforcement director James McDonald both said that their respective agencies would like to avoid hindering progress in the crypto market. Other officials made similar statements, with CFTC commissioner Rostin Behnam praising digital currencies as a revolutionary asset. Despite this, different agencies have shown a willingness to take a hard stance when it comes to preventing crypto-related fraud and criminal activities. A bill passed by Congress on September 26 bill, which creates a task force to combat terrorist use of cryptocurrencies, is the latest example of the government’s efforts to minimize illegal activity in the space. Speaking about the newly-formed coalition, Ripple CEO Chris Larsen acknowledged the rise in interest among regulators while noting that the issue of crypto legislation is complicated by misinformation. Did you know that you can invest in Ripple (XRP) for your retirement account? 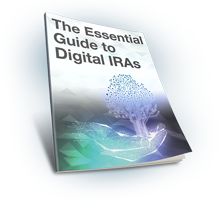 A Ripple IRA by BitIRA is a tax-deferred retirement account featuring one of the most popular cryptocurrencies on the market. Contact a BitIRA digital currency specialist to learn more!